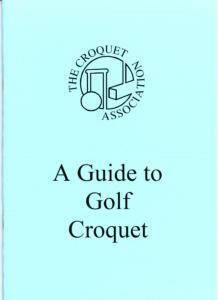 Designed to take the beginnerthrough the basics of Golf Croquet, this book will help to novice to improvetheir game. It covers: stance, grip,running hoops, different types of shot, faults, use of extra strokes, tacticsand short introduction to advanced play. Softback, 42 pages, illustratedwith b/w diagrams.